We have also seen a number of 80's TV shows being produced for the big screen. I think nothing is more eagerly anticipated as a feature MacGyver movie. No doubt it will be a huge blockbuster as that it already has a built in fan base and can still be modified to the current times to get more fans. The real question is, who will be MacGyver? Paul Walker. Fast. Furious. Plus he's american. Damian Lewis. Has leadership charisma as shown in "Band of Brothers", but will this Brit look good in a brown leather jacket? Colin Farrell. Forget about it, Unless you want a Mac that nails chicks more than he completes missions. 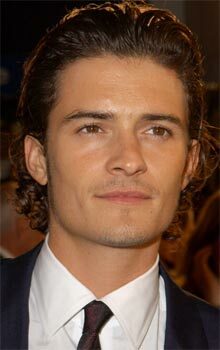 Orlando Bloom. Too prissy? Yeah I thought so too. "You have my bow..and my swiss knife." Viggo Mortensen. Here's a serious choice. A real outdoorsman, perfect as Mac. But people might see too much of Aragorn in him. Brad Pitt. Pretty boy who can be tough and rugged as well, but could be too big of a star. Ed Norton. Sorry, had to add him. Tom Welling. Too young. Plus I think he's being reserved to be the REAL next Superman. Jude Law. He could be the perfect European McGyver. Who do you think will make the perfect MacGyver? Hey, why not make your own list then post it as a comment. I'd like that! MacGyver is just that........Mac. 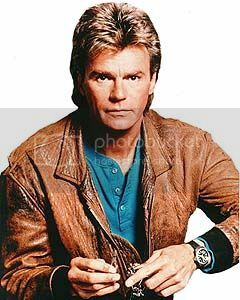 Richard Dean Anderson is and will be the only MacGyver....top that.